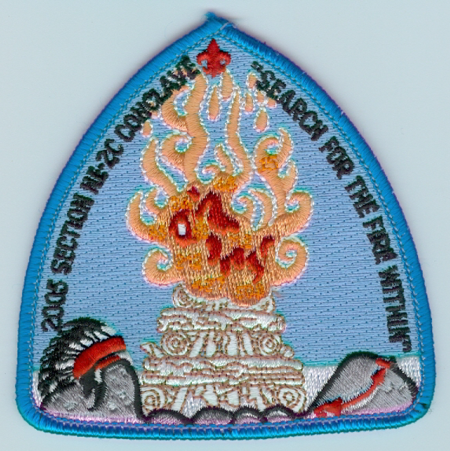 I had first written about the Section NE-3B 2005 Conclave back in November of 2011. Mia Hubbert sends along images of two previously unlisted items. Can anyone confirm why this second variation was issued? there was also a third border color, dark blue. Does anyone know the reason for this border color? Thanks to Tom Wadnola for the scan of the Red pocket patch. You can find links to other New York Section Conclave issues on this page. 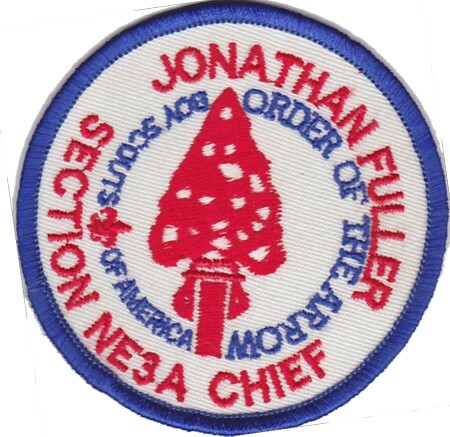 Three years ago I posted about a Section NE-3A Chief Jonathan Fuller Patch. Jonathan Fuller was the Section Chief from NE-3A before he became Northeast Region Chief in 2006. I recently came across the round that appears below. Does anyone know when this was issued and the specific purpose it was issued for? My guess would be that it was a friendship gift from Jonathan when he went to the Planning meeting and ran for Region Chief, but that is only speculation on my part. Can anyone confirm the purpose of the patch? And have one for trade? 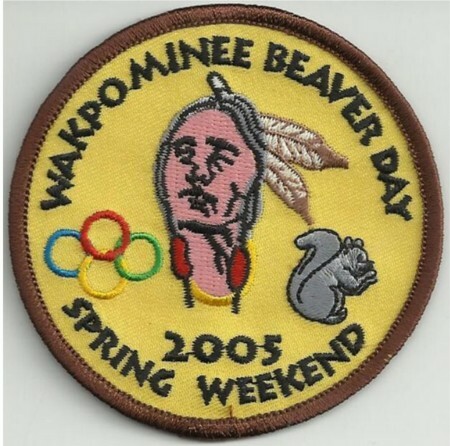 Here is another unlisted chapter item from Haudenosaunee Lodge #19’s Wakpominee Chapter issued for the 2005 Spring Beaver Day. 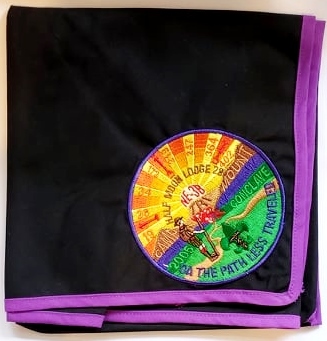 While there are several listed chapter patches from Wakpominee Chapter, this is the another of several discoveries of previously unlisted issues. 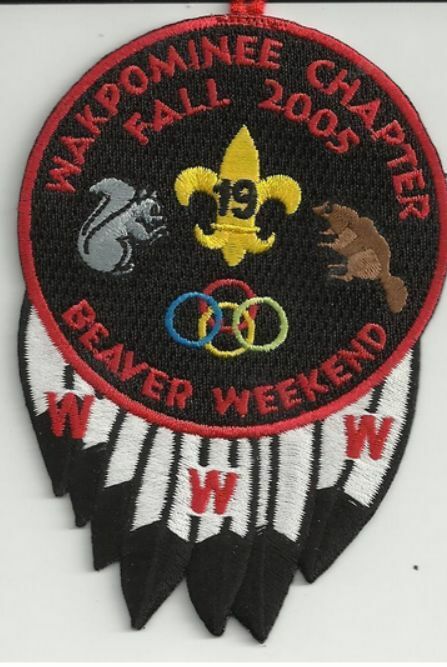 Here is another unlisted chapter item from Haudenosaunee Lodge #19’s Wakpominee Chapter issued for the 2005 Fall Beaver Weekend. 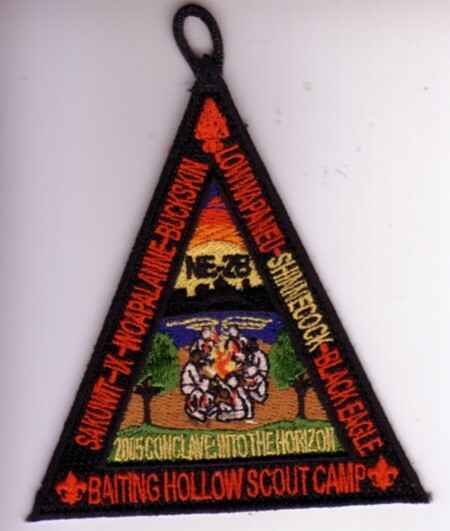 While there are several listed chapter patches from Wakpominee Chapter, this is the another of several discoveries of previously unlisted issues. This is a need of mine, anyone have one for sale or trade? 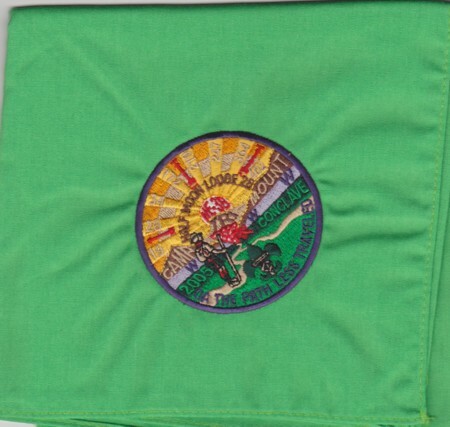 As far as I know, there was only a single pocket patch issued for the event. Is anyone aware of anything else issued for the event? 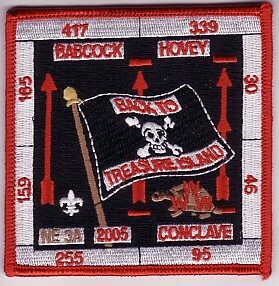 Back to some more images from Roy Weatherbee, where the Section boundaries included lodges from both NY and CT. I’m not sure where the conclave was held, nor who the host lodge was and the patches do not provide the information. Does anyone know? I have not previously included Section Conclave issues in the blog, since they are not listed in the Blue Book. However many NY OA collectors collect at least their own section if not other NYS sections as part of their collections. Since the purpose of the blog is to aid collectors of NY OA issues with information about new issues; I’ve decided to begin to include new Section Conclave issues as well. Chris Carlson sends along a scan from the 2005 Section NE-3A Cocnlave. 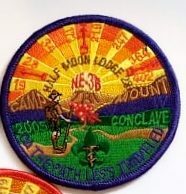 This is the 2005 issued flap for the 2005 NE 3A section conclave. Hosted by Ganeodiyo, which merged with Ty-Ohni in 2010. NYS Lodges in NE 3A include 30, 95, 159, 165, 339 and 417. there are also two PA Lodges 46 and 255 in the Section.